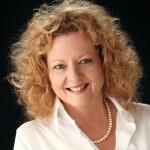 Vicki Bennett is author of 26 books across a wide range of genres; children’s, personal development, leadership and fiction. Some of the titles have been I’ve Found The Keys, Now Where’s the Car; Life Smart for Teenagers; The Effective Leader; Two Pennies and her most recent book is Dreams Can Come True. As well as being an author Vicki is a public speaker and training consultant to business, and has worked with government authorities and top corporations.